Ralph has been craving for some Italian food lately. He knew what he wanted to eat from the first time he stepped in an Italian restaurant. Today, he ordered a few dishes namely Spaghetti Bolognese, Lasagna and my favorite Tiramisu. I thought he was kind of a bit ambitious but I was surprised when we both could finish the meals. We must be that hungry or the food was simply amazing. While we were eating, Ralph asked me a few questions about where those foods were originated. And, I told him that they were all from Italy. But, he wanted me to name places where they were actually made the first time. I was stumbled. As he was twirling the spaghetti Bolognese, he told me that it was originated from a place called Bologna, Italy. And, the lasagna and pizza were both originated from a place called Naples. 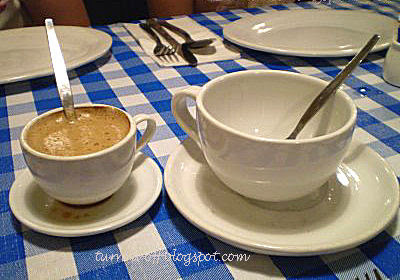 Café Macchiato - An Italian beverage served in a tiny coffee cup. Tiramisu - dipped in liqueur and espresso coffee with layers of creamy mascarpone icing, topped with dark chocolate powder. That brought us both to a discussion that one day we will make it a point to take tours to Italy. 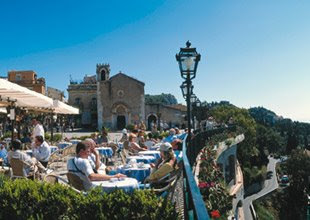 Ralph and I were talking about the beautiful and romantic vacation to Venice, Rome, Tuscany and some other places via escorted tours for cruise holidays. I was imagining myself relaxing with Ralph on a gondola, sipping a glass of Tuscany wine while watching the sunset over the horizon. Taking a stroll at night in the city of Rome where historical landmarks and old buildings are everywhere is something worth every penny spent. 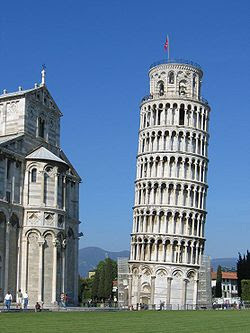 Perhaps, coming back home with a miniature of the Leaning Tower of Pisa and a thousand sweet memories will remain eternity. It doesn't get better than this! I wonder how much we shld bring for shopping in Italy!! 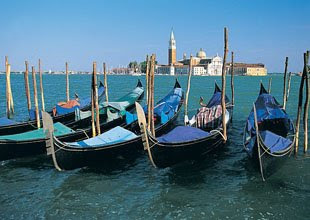 Yay, cant wait la to become millionaire, first on my list…trip to Italy! Hi! Good morning from here!!! I love Tiramisu Mon! and i would love a trip to Italy.. sigh!! 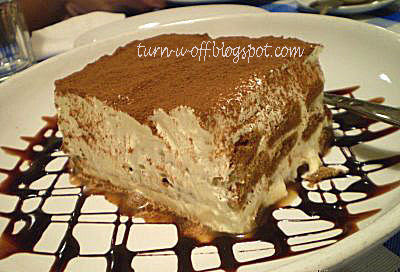 OMG, the tiramisu is making me hungry dear.